Whilst carrying out a Defect Analysis Report on a property in Reigate, Surrey, we were amused to note surface water connecting into a soil and vent pipe. 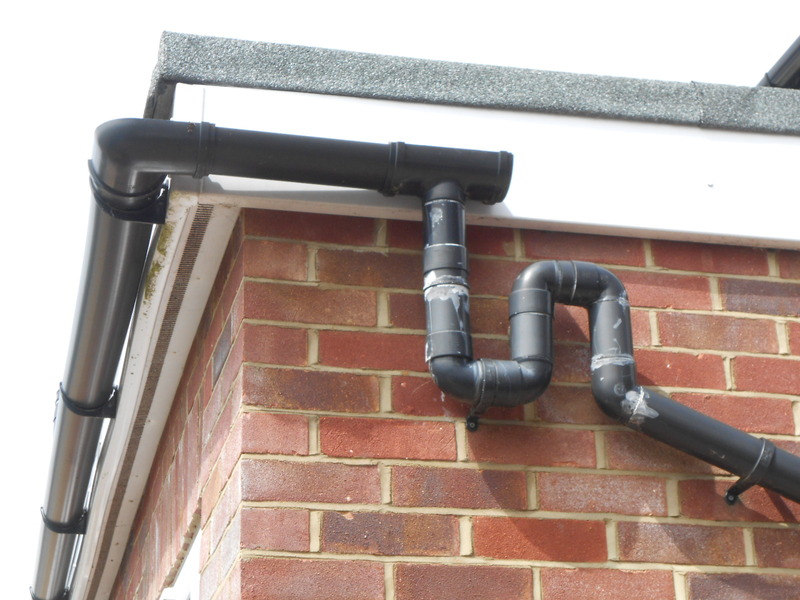 A convoluted and amusing attempt had been made to stop foul smells coming back through the downpipe and into the gutter by an assortment of bends trying to form a trap. Surface water / rainwater should not discharge into foul water drainage as large quantities of rainwater can overload sewage systems. 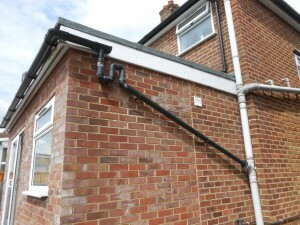 This breaches the Building Regulations as well. Surface water should discharge to soakaways or a separate surface water system. Our client has been recommended to form a soakaway in the garden and connect rainwater to the soakaway.